Since this Mother's Day we'll be flying back from Orlando, I figured I'd make myself a pretty treat ahead of time. It's a perfect little treat for Mother's Day or any day actually. 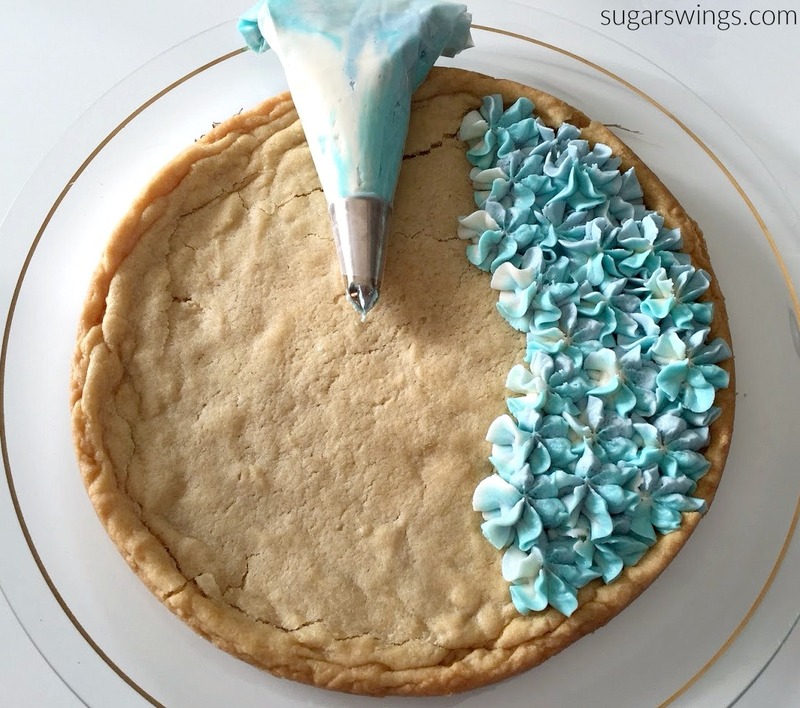 A sugar cookie cake with homemade vanilla buttercream - the buttercream is tinted shades of blue, purple, and white then piped like hydrangea flowers. Glory from Glorious Treats made hydrangea cupcakes way back in 2010 - and I tried them back then here. 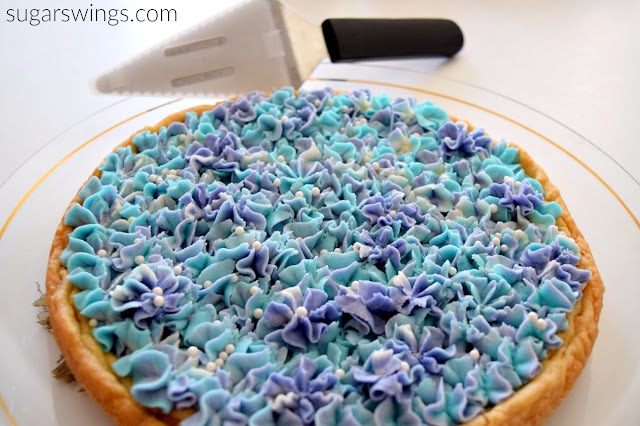 The same technique is used for this cookie cake by using a large closed star tip (like Wilton 2D) to pipe on the flowers. You really can't mess it up. 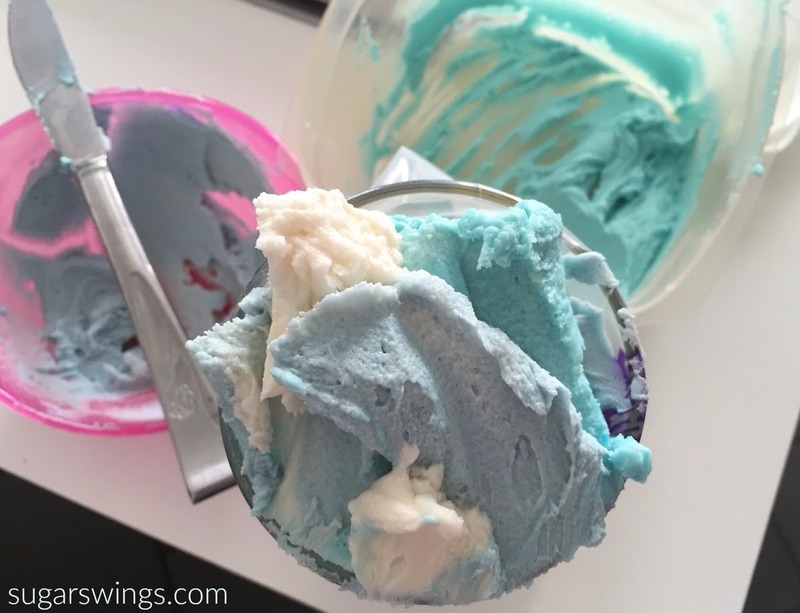 Mix the colors into one piping bag. Then pipe away. 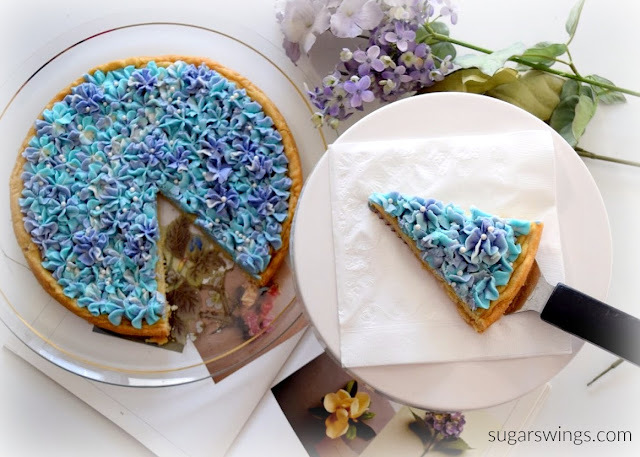 So this decorated cookie cake was the perfect way to get my hydrangea fix in. Plus it's very simple but so dang pretty! Sprinkle on some pearl sugar balls and you're done. Have a great week! And thanks for swinging by!! Spray 9 inch cake pan with non-stick spray. 2. Spread sugar cookie dough 1/4 - 1/2 inch across pan.3. Bake for 30 minutes or until just browned on top. 4. Divide frosting or buttercream into 3 bowls and tint one bowl light blue, 1 bowl purple, and leave one un-tinted. 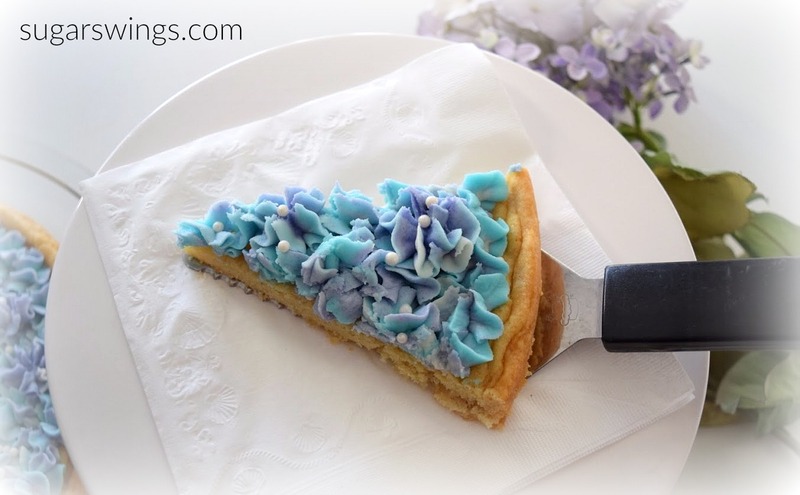 Add some of each color to a piping bag fitted with closed star tip. 5. 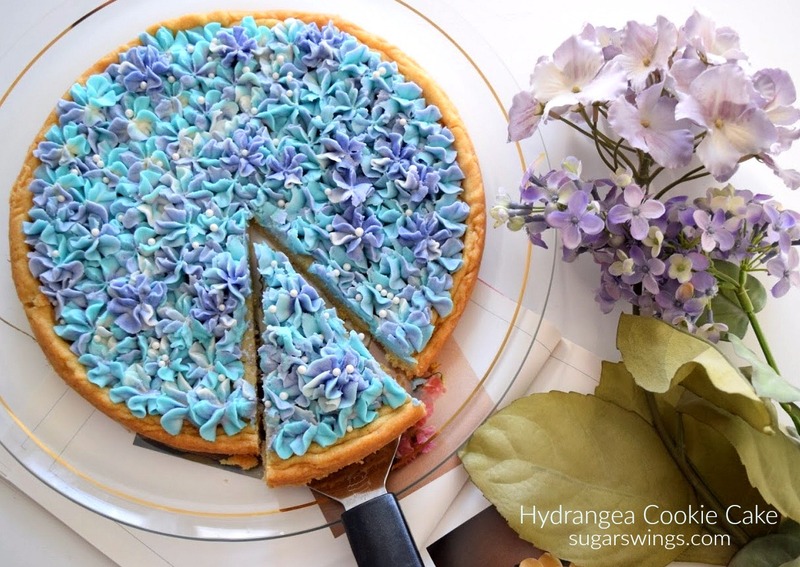 Once cookie is cooled, pipe flowers onto cake. Add pearl sugar ball sprinkles randomly on top. Serve!